It’s winter in Larnaka but only by name, as the weather still remains a lot milder than most parts of Europe! The month of December sees the town come alive with Christmas spirit and festivities, whilst the New Year brings yet more upgrades - specifically at three of Larnaka’s museums. We are also pleased to announce the winner of our graffiti competition and unveil a collection of beautiful new photographs of Larnaka. All this and so much more await you. Following the success of the graffiti competition ‘Larnaka Art Project, Past-Present-Future’, we are pleased to announce Steve Locatelli as the winner. Locatelli is a world-leading graffiti artist from Belgium whose winning artwork is a modern abstract featuring ‘Larnaka’ in Greek lettering. Second and third place went to UK artists Fauna and Rocket01 respectively. Larnaka has broken the world record for the largest Hasapiko dance after 749 people joined in the world record attempt along the Larnaka promenade (‘Phinikoudes’) on Sunday, December 12, 2010. The record required a large number of people to simultaneously dance this traditional five-minute dance. 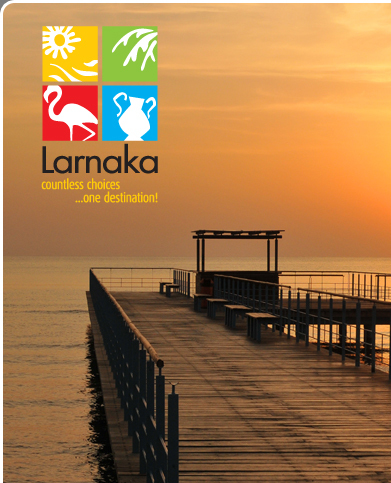 Photographer John Farrar has taken a series of new photos of Larnaka, which are available to third parties by the Larnaka Regional Tourism Body to use for promotional purposes. The new lifestyle images capture the beauty of the region in a modern way and evoke a sense of tradition, history and culture. Three of Larnaka’s museums are being given a facelift as part of the town’s efforts to upgrade its cultural offerings. The Ecclesiastical Museum of St. Lazarus behind St. Lazarus’s church, the Natural History Museum - located with the Municipal Theatre, library and gardens and the Pierides Marfin Laiki Bank Museum located in Zenonos Kitieos Street. The 2nd Golden Melody International Song Festival will take place in Larnaka on February 26, 27 and 28, 2011. The Golden Melody Festival is an international song contest organised by the Cypriot group ‘Golden Melody’. There will be 20 songs from 20 different countries competing at the contest, including Russia, Germany, Austria, UK, Israel, Italy, Poland, Thailand and Azerbaijan. The CTO has launched a pioneer institution aiming to promote Cyprus as a destination for Conference Tourism through a number of ‘Tourism Ambassadors’, and Larnaka Regional Tourism Body is proud to have its Chairman Mr. Dinos Lefkaritis and three Board of Directors Members as participants: Mr. Victor Mantovani, Mr. Spyros Elenodorou and Mr. Andreas Soseilos. Starting this Christmas, tourists and locals alike can view the sights of Larnaka from a different angle with the introduction of bike tours, going by the name ‘City Cruises’. These are the first bikes of their kind on the island and are certain to offer something unique to anyone who wants to see Larnaka and its sights in a memorable way. 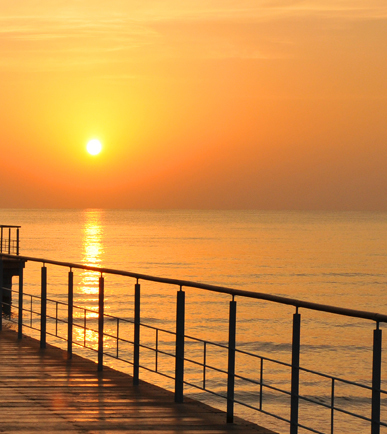 Larnaka Region is the number one destination for Agrotourism on the island with regards to the number of beds available. Visitors to Larnaka’s traditional villages are able to stay at the beautifully restored houses that now serve as guesthouses and immerse themselves in traditional village life - away from the commercial face of tourism. January 2011 sees the start of the new year’s ‘Musical Sundays’ - a series of cultural events which will be held on the Larnaka Seafront Stage located on the ’Phinikoudes‘ promenade. These include performances of traditional Cypriot and Greek music and dances, Greek contemporary, classical and international jazz music, as well as other performances. Entrance is free.